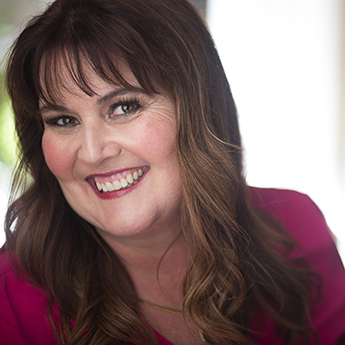 As an internationally recognized communication skills expert, speaker and author, Pamela Jett works with professionals to better understand that "Words Matter" when we are looking to achieve results, make an impact and improve effectiveness. Pamela is a true innovator who takes people beyond basic theory and strategy to an unparalleled level of application. Pamela Jett has had a life-long romance with words and their effect on relationships and has felt at home on stage and in front of an audience for more than 30 years. Her first platform experience was in musical theater when, starting at the age of 9, she began to appear regularly in local community theater productions. At age 11, Pamela was recognized as a budding speaker when she successfully competed in a local speech competition. Today, with more than 15 years of professional speaking experience, Pamela has been nationally recognized for her presentation skills. In 2007 Pamela became one of fewer than 200 women to hold the honor of being designated a Certified Speaking Professional by the National Speakers Association. With a wide-ranging clientele that includes the high-tech sector, manufacturing, women's groups, government agencies, and finance and banking, Pamela Jett is a communication expert who has given well over 800 presentations to more than 135,000 people in seven countries. She is also the author of several video and audio programs, including Communicate with Confidence, Credibility and Influence and Mind Your Own Business: A Career Management System. After graduating from San Diego State University with a degree in Speech Communication and receiving recognition as one of the top 20 speech and debate competitors in the country, Pamela went on to earn her master's degree in Communication. It was while pursuing her Ph.D. at the University of Utah that her love of teaching adults powerful success skills was kindled. Each of Pamela Jett's unique programs is power-packed with practical application and real-life techniques. Her unique combination of humor and intellect is sure to leave you inspired and ready to make positive changes for increased success.